In the year After Colony 195, Earth is surrounded by orbiting space colonies. The colonists are cruelly oppressed by the Earth Sphere Alliance, which uses huge humanoid fighting machines called "Mobile Suits" to control the populace. Behind this tyranny is the secret society called "Oz," which has infiltrated the Alliance military and steered it towards its repressive course. Now, the space colonies are ready to strike back. Five young pilots, equipped with advanced mobile suits called "Gundams," are sent to Earth to wage guerilla war against Oz and its Alliance puppets. The war to decide humanity's destiny begins... A squadron of giant robot pilots of a beleaguered Earth colony bring the war to their oppressive home planet. I liked Gundam Wing, but it wasn't very original and the plot changes were far too confusing to follow and at many times didn't make any sense. Zechs' mask reminded me of the original mask of the "Red Comet" Char Aznable, all he needed was a red mobile suit and the similarities would have been exact. The 5 Gundam pilots were interesting characters but they lacked any depth to their history. In all it was good, but not Great. If you really want to see a Great Gundam series I would recommend "Gundam 0083 Stardust Memory" Gundam Wing is not original. A lot of ideas were taken from previous Gundam series. Nothing original about it. They copied almost everything except mass casualties. At least three of the five Gundam pilots should have been killed. 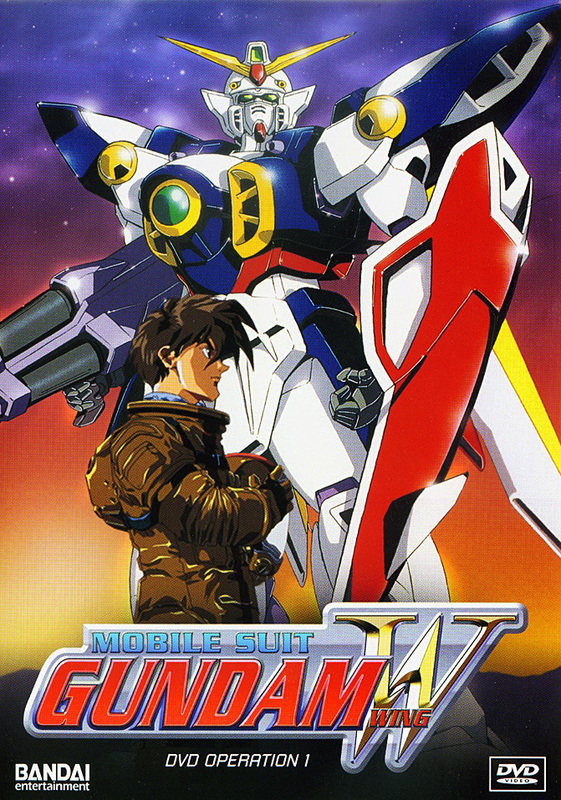 Rating: 2.5 of 5 for not being original, I recommend you to watch Mobile Suit Gundam or other related series. Don't pay attention to GW fanfare.